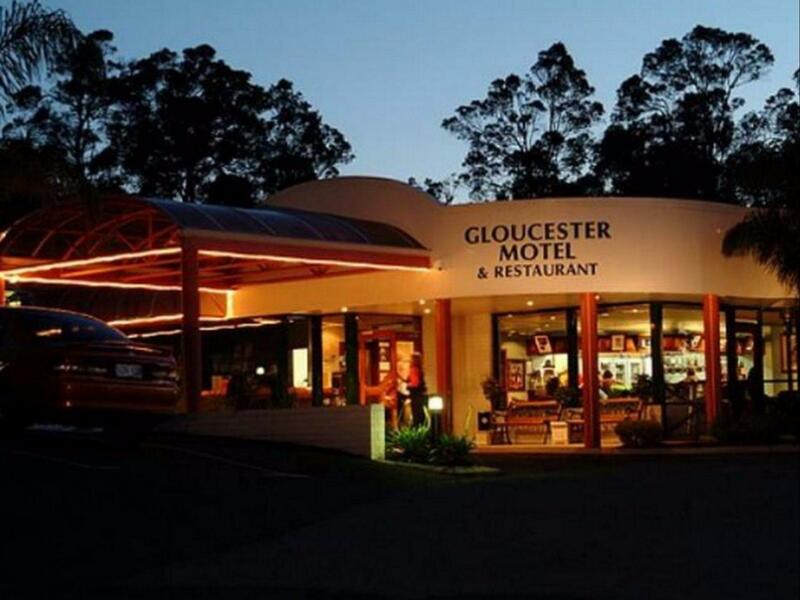 إذا كنت تبحث عن فندق بموقع جيد في بيمبيرتون، فقد وجدت ضالتك في Gloucester Motel . يمكن من هنا للضيوف الاستمتاع بسهولة الوصول إلى كل ما تقدمه هذه المدينة النابضة بالحياة. بالنسبة لمن يريد الخروج، هذه بعض المعالم السياحية المتوفرة للزوار ‪Pemberton Fine Woodcraft Gallery‬, ‪The Pemberton Visitor Centre & Museum‬, ‪Pemberton Artscape‬. يعرف Golden Chain بالمستوى الراقي لخدماته ولباقة موظفيه، وهذا ما ستجده في Gloucester Motel. إن تسجيل وصول/خروج سريع, تخزين الأمتعة, واي فاي في المناطق العامة, صف السيارات, خدمة الغرف هي جزء فقط من الخدمات التي تميز Gloucester Motel عن باقي الفنادق في المدينة. في الفندق غرف نوم يتجاوز عددها 50، كلها مجهزة بعناية وجمال وبعضها مزود بـ تلفزيون بشاشة مسطحة, غرف لغير المدخنين, مكيف هواء, تدفئة, مكتب. صممت خدمات الاستجمام في الفندق والتي تتضمن حديقة لمساعدتك على الاسترخاء والراحة. مهما كانت دواعي سفرك فإن Gloucester Motel هو خيار ممتاز لإقامتك في بيمبيرتون. The restaurant was closed down. Breakfast, however, was supposed to be available but was later cancelled due to a sick staff member. The receptionist was very friendly and helpful to direct us to another nearby motel with restaurant. You will definately need a car in this place to move around. I was check in late. The reception was closed, but they leave a message to me. Luckily... But please standby receptionist in the morning, as when i want to check put 10am, there are no one around. Though i wanna say thank you to them. Good for a pit stop overnight. They did have a good restaurant serving fine food which satisfied our hunger in the quiet town after dark. Room was spacious, just a tad old, but that in effect did not raze my good night’s sleep. Our room had two large queen sized beds and a large glass door that opened out to the lawn for a nice hot coffee in the cold morning before I set off. Simple, easy and economical. Had to call a number when checking in. No answer first two times then finally a car rolls in and 3 people and 2 dogs jump out. 2 people go off (to clean presumably), the other checked us in. The dogs were in the reception area on the chairs, then went into the restaurant. I understand some budget motel s don’t have someone on reception all the time but as it was 2pm it would have made sense for someone to be there. When we went back to reception to ask a question, the dogs were locked inside and barked when we approached the door. The rooms were dull and depressing and didn’t ‘feel’ clean, however there were no obvious signs of dirt. We ended up leaving a night early. Motel location is quite easy to find and it has a restaurant which was very convenient for us as Pemberton is a small town with not many choices for dinner. Cleanliness was okay but WIFI was not available. 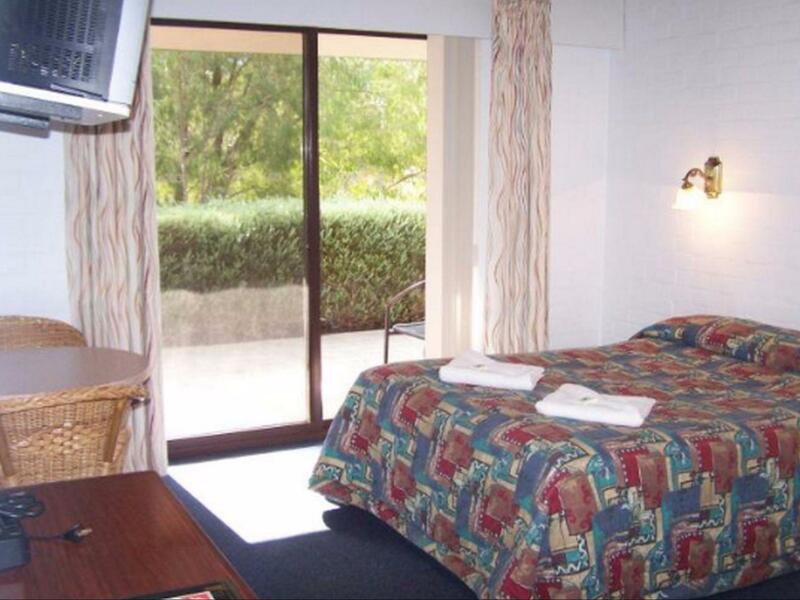 Basic rooms and amenities. good location. Had several restaurants serving dinner after 6pm. If the rooms could be accessed via slopes instead of staircases, then it's better. avoid it if you have heavy luggage. next morning found some shits in front of rooms and staircases, I guessed some kangaroos passed by the night and left some door gifts (based on the shapes they are not dog shits) 😉 . they also serve expensive meals. This was a good hotel to halt during on our journey to Albany.The hotel has pretty much all the facilities one needs-only that it was obvious that the rooms has not had a make-over in a few years and looked a bit dated. The staff were very helpful and accommodating. The restaurant serves excellent food and they were able to specially cater to us being vegetarians. We stayed a night in this hotel. Nice to have water kettle and toaster in the room but there is no shampoo, conditioner and body cleanser. Very old condition and roof made noisy sound with rain and wind. But it was clean condition and nothing to complain. Note that there is no wifi in a room. Only wifi connection available at the lobby. used this as a stopover from albany to margaret river. good location close to town. room was very old from the furniture to the toilet fittings and shower. overall was a good stay, no complains as the room was still clean and the bed was comfortable enough. We stayed for a single night on Christmas day. Actually the reception was closed on that day, but they still made arrangement for us to get access to the room. Greatly appreciated! 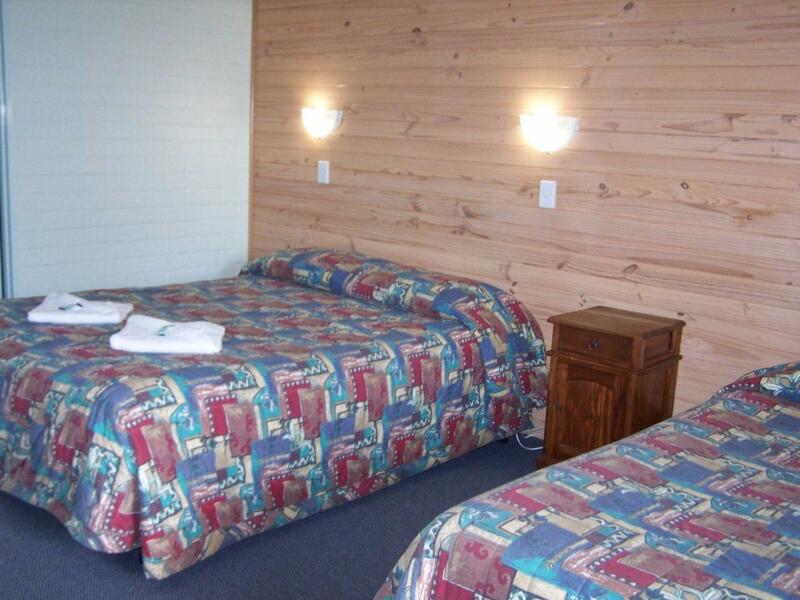 Other than that it is an average motel where you get all what you can expect - nothing less and nothing more. In a small cosy town and with a car, the location will not be an issue, everything is within 2-3 min drive. Pity the restaurant is closed till further notice. Walls were paper thin so you can hear everything that's going on next door and two doors down. We had better accommodation along the Nullarbor! Definitely not worth the price we paid (over $400 Easter price) I suppose when you don't have much competition this is the result. A very quiet hotel -near to town but far from noises. Plenty of parking - can park right in front of your room. Heater in the room is just right but the lights are a bit dim. Nothing fantastic - a good stopover hotel with good food. We spent a miserable, cold night. There were 3 of us in the room but only 1 small portable heater. We were not allowed to have more heaters. There were cracks in the front door that allowed the cold to get into the room. The toilet glass window pane was only 3/4 up, allowing more cold to enter. When the toilet light was switched on, an exhaust fan at the toilet ceiling was on also, thus drawing whatever warm air out of the room. Water pressure was low. 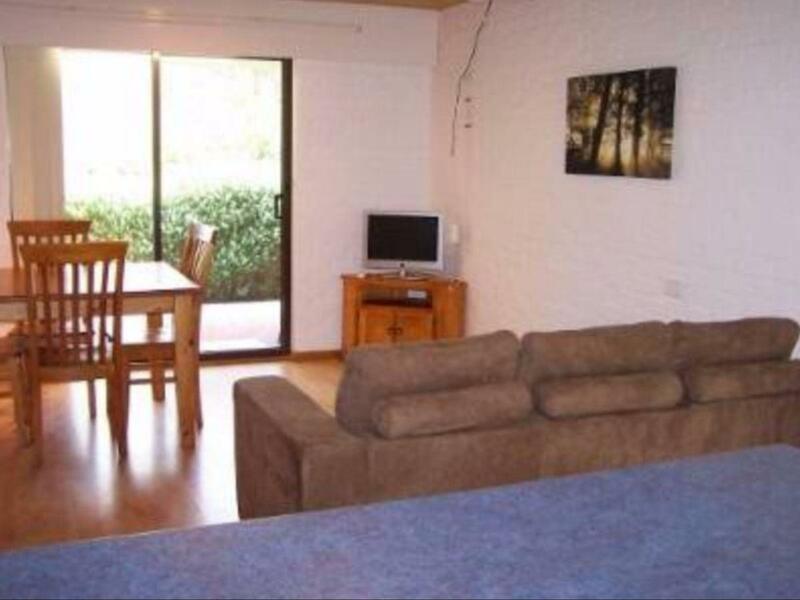 To change to a room with aircon unit, we had to pay more, plus the inconvenience of packing up and moving out. We lost precious time in fulfilling our itinerary and didnt have a comfortable sleep on the first night because of the cold. We were aware that this was a budget room we booked through Agoda but we expect at least a basic amenity of a room with a sufficient heating unit. And guess what? We had a power failure on our 2nd night in an upgraded room with an aircon unit that we had to pay more! !